A gas fire pit is a decorative structure that can be built or installed for outdoor use and display. Gas fire pits can still be used for cooking nowadays. They are constructed using pre-cast concrete, metal, or a combination of a metal table and stone. The pit contains coal or logs that can be used for cooking or merely for display. They are actually fueled using natural gas, propane, and bioethanol. 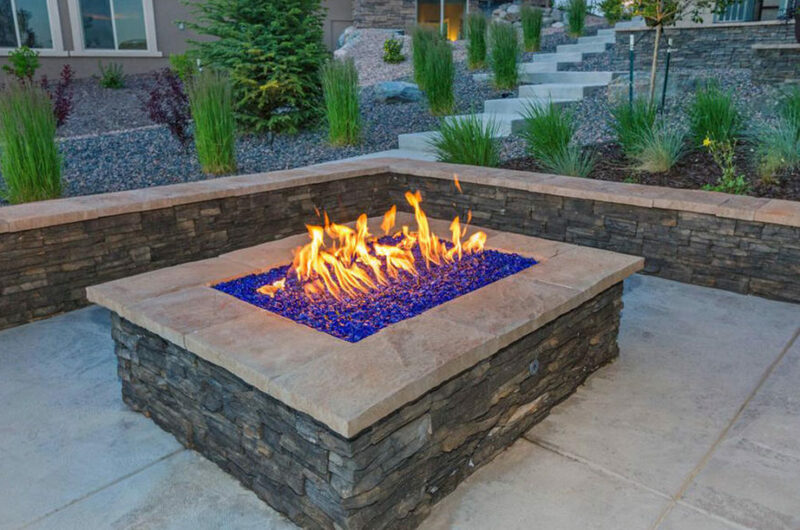 Before you design your gas fire pit, you need to determine your gas supply. Both, natural gas and propane can be used as fuel, but the supply pressure and British Thermal Unit ratings should be regulated. The pressure for natural gas should be between 3.5” and 7” of the water column and between 8” and 11” of water column for propane. The shape and size of the gas fire pit can be selected after determining your gas supply. Choose a burner that is at least 6” smaller than the inner dimension of the enclosure. These are recommended for use with all fire pit burners, and they are required for fire pits that run on a propane supply. You can use a flat or bowl-style fire pit pan to accommodate the specific construction style of the gas fire pit. The purpose of a burner pan is that it separates the air mixer from the burner and helps with water drainage and ventilation. The flange extension is used with the shut-off valve that is located inside the fire pit, and the enclosure should not be thicker than three inches. This is one of the most important things to consider while building a gas fire pit. The recommended amount of ventilation is 36 square inches or two holes of 18 square inches each. These are designed to simplify the installation process of a fire pit plan. They are flexible and can bended for round enclosures; moreover, they can be anchored with concrete screws. This is the final step in finishing to build your gas fire pit. Lava rock, fire glass, log sets can be used as fire media. The maximum area that can be used by a fire media on the burner or a pan should be 2”-4”. The choice of fire media completely depends on how you want your final gas fire pit to look like.